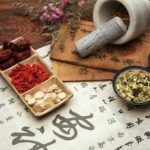 Chinese Herbal Medicine (CHM) is a safe, natural and effective way to naturally help the body create and/or restore wellness. 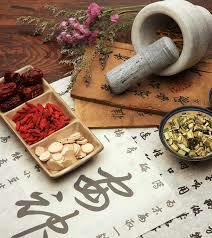 In Traditional Chinese Medicine (TCM), a healthy body is one that is balanced and harmonized. Herbs can create this harmony by increasing free flow of qi and blood in the body, preventing disease, releasing toxins, and generally restoring the body’s natural ability to heal itself. Some Chinese herbs are actually foods or herbs you may already be familiar with. For example, mint (also known in Chinese as Bo He) is often prescribed to help clear a cold, headaches, or sinuses. Other foods such as ginseng, ginger, mulberry, radish seeds, tangerines, are also used in formulas, though you may not recognize them by their Chinese or Latin names on the bottles. All types of health issues can benefit from herbs: infertility, digestive problems, colds and flus, allergies, and many more. Please ask Kerri if your health concern can benefit from herbs. Chinese Herbs come in many forms in today’s times: pills, tablets, capsules, liquid tinctures, powders, and also in their raw form to be made into a tea. Every effort is made to ensure the safety of the herbs prescribed. 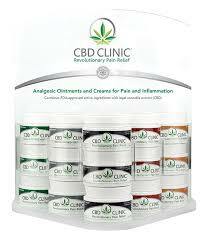 The companies that supply the herbs and formulas follow all of the current safety and health rules and regulations. 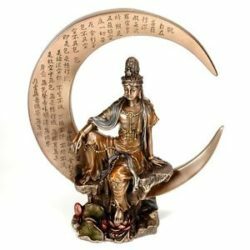 For example, she uses Crane Herb Company, who is the distributor of the Chinese Herbal Medicine for traditional Allopathic/Western hospitals, such as the Cleveland Clinic. Additionally, Kerri uses the Conceivable (http://www.conceivable.com ) line of liquid tinctures, designed specifically for Fertility patients, yet applicable for other issues as well. With the Conceivable herbs, Kerri can customize a formula to fit your specific needs, right in the office at the time of your visit. Kerri also has accounts with Theralogix – Reproductive Health (http://www.theralogix.com), Fairhaven Health (http://www.fairhavenhealth.com ), and Microbiome Labs probiotics (http://www.microbiomelabs.com). Kerri’s training and education includes learning all of the contraindications of the herbs as well as any potential dangers of combinations of Eastern and Western medicines. Not all patients are candidates for herbal medicines. 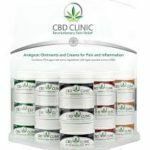 For example, if a patient is currently taking multiple Western medicines, herbal treatments may not be prescribed so as not to interfere with the integrity of the allopathic prescription. If, however, a patient wants to titrate off of a Western medication, Kerri is willing to work with the patient and the prescribing physician in order to serve safely the best interests of the patient. Cost of herbs is roughly $20-$45* for 10 day supply. *Cost varies depending on types of herbs used, as some are more costly. During the initial visit all patients are required to inform Kerri of any and all medications or supplements they are taking, to ensure their safety if they decide to take herbs. Patients are not required to take herbs.